Hanne Leland is, like most of the pop girls making waves at the moment, a pop export from the Scandi region. Before she began producing the inspirational and honest pop currently bulking up her repertoire, Hanne was once looking into becoming a country music star, a nod to her rural South Norway roots. 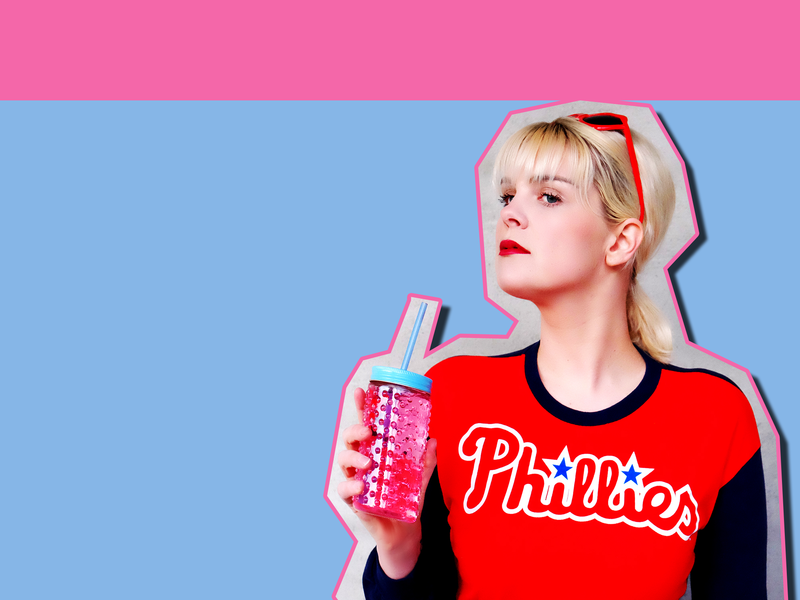 I had a chat with the emerging Scandipop darling about her newest single “You Don’t Own Me,” another inflection of her bright pop goodness, plus stanning for Queen of Pop™ Carly Slae Jepsen. It shouldn’t be difficult for Hanne to blow up a la Astrid S, Tove Lo or Zara Larsson. Plus, like all iconic pop divas, Hanne loves all her gay boys – we love an LGBT ally with bops! It’s actually my favorite song I’ve written! It’s a song about owning your happiness, and never letting anyone get the best of you. It’s about getting back up after falling, and being strong in the face of adversity. Sum up your sound using three adjectives. What do you do to perk yourself up when things don’t seem to be going great? I put on really loud music, and dance like a maniac. That really works for me! I also try to change my focus, and get my mind off of myself. When I do, I realize that my problems are very small compared to what a lot of other people have to deal with in other places in the world. I also write a lot when I’m feeling low. It helps me get perspective and make sense of things. The music. I feel like I have this fiery motivation in me, constantly leading and guiding me. I think it’s that love and desire for music that has kept me going when times have been rough. I know it sounds cliché, but it’s true. Music is something I could never give up on. The opportunity I have to speak through music, and to unite people through songs, fascinates me, and makes me want to write and sing songs that matter. It gives me purpose. What was it like touring with the All Saints girls last October? Did they offer you any good advice? It was amazing. I learned a lot from just watching them on stage doing their thing. They were super chilled and sweet to me, and I guess the best advice they gave me was to just go out on stage and be proud of what I’m doing, be proud of my music, and just own it. Is there a particular aspect of the music industry you would change for women? I would love to see more female producers! It would be interesting to see if having more female producers would lead to a change in today’s music trends. There are so many amazing Scandinavian girls being recognized for creating such brilliant pop at the moment – how does that make you feel? I think it’s amazing. All the Scandi girls succeeding are really paving the way for Nordic music, and the world seems to be paying more attention to us now that they know a lot of great pop is coming from here. Are there any Norwegian pop girls you feel aren’t getting enough recognition right now? I think Ina Wroldsen is fantastic. She is already killing it, so I wouldn’t say that she isn’t getting recognition, but I guess for some people she is more known as a songwriter for other artists. I think Ina will be taking over the world as a solo artist very soon. I would say Tove Lo. She is real and raw, and not afraid of being herself. Not only in her songs, but also in her live shows and in her persona. I think she is an amazing songwriter too. I’m also very inspired by Alanis Morissette, I’ve listened to her music since I was a kid. Any female musicians you’re especially into at the moment? As a supporter of the LGBT community, what is it about us that you relate to so much? I have a lot of gay friends, so it’s always been natural for me to support the LGBT community. I also come from a small town in south Norway, known as the “Norwegian Bible belt”. I don’t mind the Bible belt thing, but it’s problematic and wrong when people use God as an excuse to judge people. Growing up there and seeing how gay people were talked about and treated by certain communities was a real eye-opener for me, and made me want to support the LGBT community. Who would open for your arena world tour? Oh, that’s a tough one. It’s a little ambitious to say this, because it’s more likely that I would be opening for her, but I would say Taylor Swift. She is an amazing performer and has a beautiful stage presence. I would love to tour with her one day. What’s in the pipeline for Hanne Leland in 2017? Buy or stream “You Don’t Own Me” by Hanne Leland.